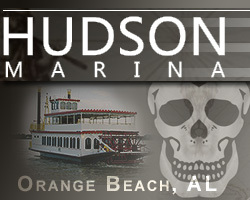 Sail on our Orange Beach Pirate Ship Cruise as we bring the most unique form of family entertainment to the Alabama Gulf Coast Area. The American Star is located at 4575 South Wilson Blvd. Orange Beach, AL 36561. 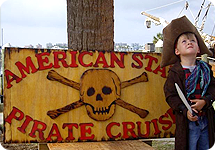 Bring your young pirates aboard the American Star for a swashbuckling Pirate Adventure on Terry Cove in Orange Beach, Alabama. Your mini-mates will have the opportunity to act like pirates, get their face painted, and learn some pirate lingo. 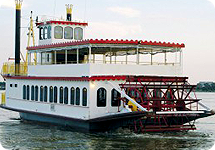 The Perdido Queen Paddlewheeler is to appeal for both formal and casual events having two atmospheres all in one venue on either deck. You will be in awe when boarding this finely appointed vessel. Find yourself aboard more than just an attractive throwback to a long lost era of maritime travel because the Perdido Queen is the Nation's most modern Paddlewheeler, built specifically for the waters upon Terry Cove and Perdido Bay. The nostalgia along with the romanticism of the vessel appeals to your guests and those coming from around the country and the world. Enjoy the beautiful scenery of Perdido Bay in the Orange Beach, Gulf Shores, Perdido Key area, and return to the dock in time to go for dinner. 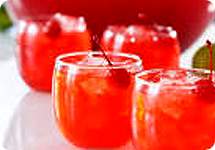 A special Rum Punch will be served to all guests 21 and older. A relaxing and enjoyable way to spend an afternoon!! Until the party breaks loose. Shake your booty, hula hoop, limbo, conga lines and line dancing just to name a few. Come have some fun with us. Tropical music alternates with the captain's narration during scenic cruises aboard the Southern Belle. Each guest 21 and older gets one complimentary rum punch; a cash bar is also available onboard where light snacks can be purchased. Fishing Charters: We strive to offer passengers an exceptional fishing experience at an affordable rate. 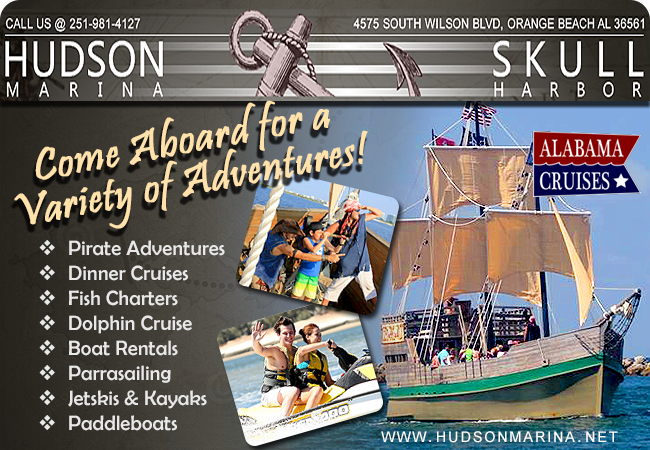 Dolphin Cruises: Come cruise on the Southern Belle, to experience up close viewing of dolphins. Parasailing: Soar above the emerald blue waters while viewing the breathtaking island paradies. Jet Skis & Sea-Doos: The largest fleet of Seadoo Jet Skis and Yamaha Wave Runners in the Orange Beach..
Paddleboats & Kayaks & Tubes: The most affordable place for rentals on the Coast!